Note: We don't charge a fee for reserving a title, unless we need to get it from another library service. As part of our SPINE partnership, our customers can borrow titles from Cambridgeshire and Peterborough libraries’ stock for a charge of £2 per title. You can find and reserve titles from Cambridgeshire and Peterborough by visiting any Suffolk Library, contacting us or through our catalogue. 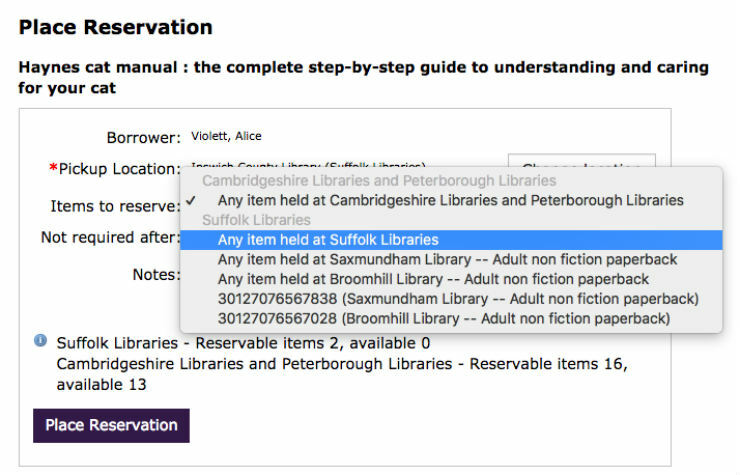 If you search for a title in Suffolk and we don’t have it, our catalogue will give you an option to expand your search to include Cambridgeshire and Peterborough’s services. If you click this link we’ll present you with search results from Suffolk, Cambridgeshire and Peterborough. If your search brings up some results, but not the ones you’re looking for, our results page gives you the option to expand your search to Cambridgeshire and Peterborough. Note: you can’t just search Cambridgeshire and/or Peterborough’s titles. You have to search Suffolk, Cambridgeshire and Peterborough’s titles at the same time. If you find the title you want, you can go on to reserve it in the normal way. You’ll receive notifications and collect it in the same way as usual. Note: If you reserve a title from Cambridgeshire or Peterborough you’ll be charged £2. Which of our libraries you wish to collect the title from. We will only charge you if we successfully fulfil your request. 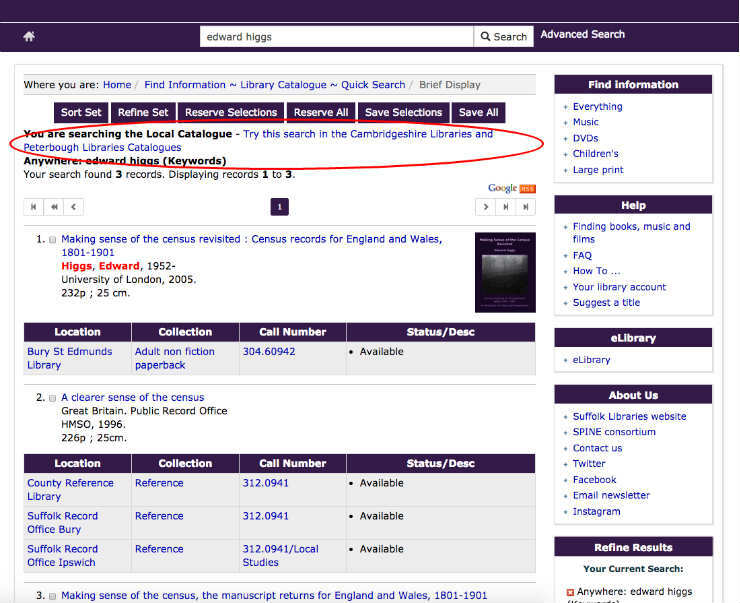 Due to the cost, we will always ask you whether you wish to extend your search to the British Library.